(9/5/12) The longstanding manifestation of the modern United States prison system is increasingly well-recognized: massive numbers of young men of color, victims of the decline of industry, are incarcerated, often deported, and become branded second class citizens for life on release. This aspect of the prison system is part of the social fabric of poor neighborhoods and in inner cities, in communities within powerful metropolises, like Los Angeles and Washington D.C. The racist origins of the modern prison apparatus are reflected in the role it plays today. Millions of people-of-color prisoners and felons are now disenfranchised and permanently relegated to an economic underclass, and in the false discourse of “tough on crime”, to which “tough on immigrants,” is now almost equivalent, poor and middle class whites are pitted against people of color to prevent the formation of a class-based identity. This policing and imprisonment often occurs in the poorer neighborhoods within the greatest urban centers of financial power in the United States. Making this system visible for what it is, and subsequently eradicating it,is the goal of heroic and sustained movements. More and more people are becoming aware of the modern prison complexes’ racist origins and outcomes. But this prison system begat smaller versions of itself: one of these is reflected and reproduced in the U.S. policing and prison-building packages foisted on certain Latin American nations through the War on Drugs. There are several foreign prison programs: under the broader Plan Colombia, the Mérida Initiative in Mexico, and a similar new plan in Africa.1 This spring, a prison and policing plan was announced in Central America under CARSI (Central American Regional Security Initiative). This package includes neighborhood gang policing and counter–narcotics operations. It will provide training for guards, increase prison capacity, and likely change the function of the prison in society to more closely mirror that of the United States. U.S. involvement with Central America runs very deep. There are free-trade agreements, sweatshops and free-trade zones, large numbers of migrants going north and deportees going south, and massive investment in Central American natural resources. Central American states are small, relatively weak, often unstable, and aside from the proximity of the minuscule local elite, their people are geographically distant from the economic powers in their lives. Central American prison programs could be the opposite pole in spectrum of the U.S. prison system because of the marginality of their prisoners; nevertheless, their marginality is a mirror for the social set-up of prisons within the U.S. For both the U.S. and Central America, the War on Drugs propels inequality and incarceration: it is the engine that never actually lessens the drugs against which it can war. Despite the differences in the way that indigenous peasants and inner city communities are potentially threatening to corporate power, they both are threats. The prison system is also a tool of economic and social repression both within and without the United States borders. The Central America prison program fits within the broader CARSI program: this is a 60 million dollar plan with the stated aim of combating gang violence and trafficking in Central America. It has been in operation since 2008, as a branch of the Mérida Initiative. In 2010, it became its own entity, and this is when the financial flow truly gained steam. In March this year, William Brownfield, one of CARSI’s principle architects and spokesmen, went on a visit to the area in question to announce more components of their cooperation with the U.S. He visited El Salvador, Guatemala, and Honduras, three of the most involved Central American states. Brownfield, interviewed for the majority of related articles in the major press, poses a false duality– a “hard” and “soft” side of CARSI, both military/policing assistance and non-military aid. In reality, the supposed soft side of the program mainly consists in “increasing institutional capacity”; this roughly means the capacity of the criminal justice system to process and contain at ever increasing rates. While even now Central American countries do not incarcerate their population at more than a fraction of the rate of the United States, the number of incarcerated people has grown massively, while their populations have increased little. There were 24 thousand prisoners in El Salvador in 2010, but before CARSI was implemented in 2008, they had less than 17 thousand prisoners. There is a crisis of prison over- population in Central American countries. The current partnership to increase capacity, however, is inseparable from more imprisonment in the long term, as has been seen in one of the principle models for CARSI, Plan Colombia. Aside from the policy of increasing incarceration, the rapid expansion of the prisoner population has been the result of increased unrest in the past several years. Due to shifts in drug trafficking patterns, Central America is more and more commonly an overland funnel between Southern cocaine and North American consumers. Increased drug trafficking converges in time with a U.S.-imported gangster culture: deported young men increasingly join forces with the previously existing Latin American organized crime groups, instead of being rehabilitated in the cities they lived in since they were small children. Nor should it be surprising, given the U.S.’s longstanding and deep involvement in the area, that they have inserted themselves into this unrest, claiming the solution with more policing and control. Since various guerrilla wars in the eighties, and suppression against leftist movements, U.S. involvement in the region had settled into a pattern- a combination of free trade, heavy investment, and military presence. In the nineties and early 2000s, the real action was taking place in Colombia, and Central America was not a high priority region. Very recently this has been changing fast; in his May visit to Honduras, Brownfield visited the site of a tragic prison fire to announce a collaboration to “improve” Honduran prisons, saying an additional US 50 million will be spent on aid to Honduras in 2012 under CARSI. Honduras, which is now an important site of investment for U.S. businessmen, is currently privatizing almost all of civil society under the slogan “Honduras is Open for Business”. This is under its most recent government – under their previous president, they had implemented reformist policies, and joined Alba, a trade partnership that included Cuba and Bolivia and emphasized mutual aid between nations as an antidote to neo-liberalism. In 2009, a military coup ousted ex-president Zelaya. The U.S. supports this illegal coup government, which is much friendlier for external business interests. When US Senator Dana Rohrenbacher visited Honduras in December 2010 to laud the new coup government, he brought with him a group of potential investors. A new amendment to the Honduran constitution will create legal space to build “charter cities”, a supposed alternative to migrating to the states; lands where there will be almost no regulations, like in Free Trade Zones, and where people will “eventually” get democratic rights, like a vote. A look back to the early history of the contemporary prison system in the U.S. reveals that – just as in Honduras – its onset occurred right after a potential social transformation. These ‘70s nationalist movements “hit capitalism where it really hurt, the bottom line”2. It was the political prisoners of the ‘70s militant liberation movements, many still incarcerated and the first intellectual leaders of the abolitionist movement, who first and most powerfully articulated how the prison apparatus was a racist institution. Imprisoned intellectual David Gilbert notes that Nixon told his chief of staff, “the whole problem is really the blacks. 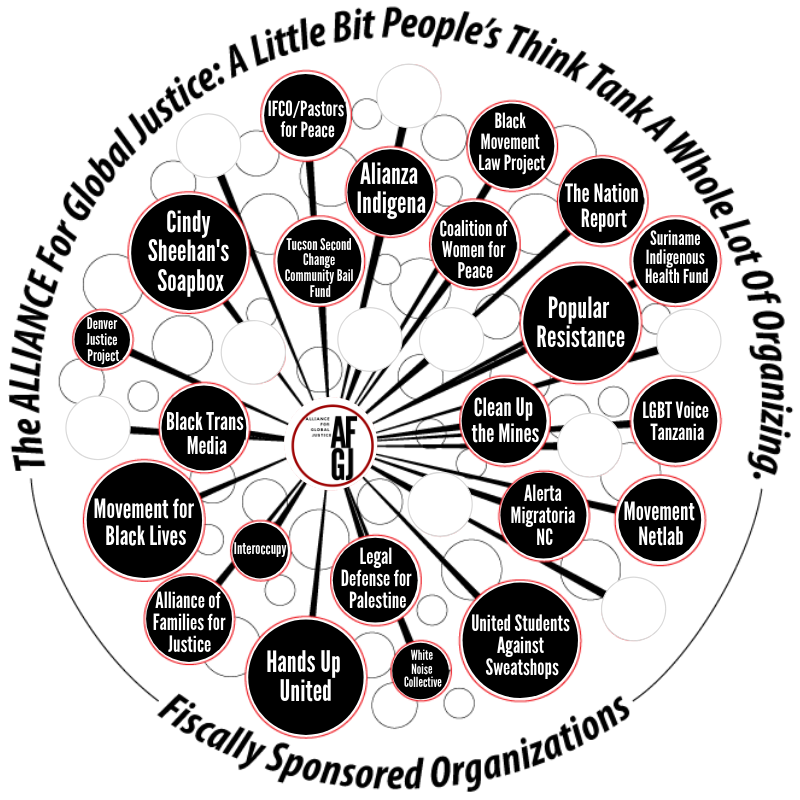 the key is to devise a system that recognizes this while appearing not to.” The Prison Industrial Complex rose out of the ashes of COINTELPRO and other notorious illegal anti-radical FBI programs. “The war on drugs”, a phrase Nixon first used in 1971, effectively means to war not against drugs, but against rebellious groups; it means keeping communities and populations controlled. Drug treatment programs were not seen as a viable option, despite their comparative cheapness to the build-up of policing and prisons. Colombia, which has a great deal of experience executing the U.S. policing and imprisonment agenda, now sends people to train Central America’s military and police officers. But the CARSI plan is different from that of Plan Colombia and the Mérida Initiative. It is set apart by the tiny size of the nations involved; Guatemala, the largest, has just 14% the gross domestic product of Colombia; likewise,the Central American nations are much poorer than Mexico. Mexico has a relatively large middle class with a great deal of political presence; Guatemala has one of the most notoriously unequal economies in the world, with just ten families controlling almost all the economy. Even by the twisted logic of U.S. imperialism, it seems slightly unfair to “collaborate” with such small and poor nations to increase policing and imprisonment, especially when they have illegal coup governments like Honduras. This is why the Brownfield-led discourse tries so hard to de-emphasize the militaristic aspects of the program in favor of components like prison guard training: many U.S. citizens have learned what militarism did through the hindsight of Plan Colombia. The United States’ military style actions are not only disguised as DEA programs. They can be further removed by collaboration with paramilitary organizations, a fickle and violent tool of capital and government. While emphasizing the difficulty of uncovering information and proving it, Paley notes several likely examples of this tactic in Mexico under the Mérida Initiative, in areas of great interest to U.S. and international corporations. She also finds a likely example in Guatemala, in which the Petén area was declared to be under martial law because of the presence of the Zetas, a paramilitary force: the logic of this probable collaboration was revealed by a new oil rush in the area soon after.6 The war on drugs in Mexico, she says, is best understood as “being about increased social and territorial control over lands and people, in the interest of capitalist expansion.” The Central America plan, which grew out of the Merida Initiative, is eventually reducible to the same logic. Within the United States, Ricardo Levins Morales, writing about the “invisible” currents that define the landscape of power, says that strategic vision reveals the weakness of the current power structure: “When we step back from our daily struggle to encompass the entire political landscape in our field of vision, one of its most striking features is the exponentially expanding penal system,” he says. Were Blacks and Latinos free from the prison apparatus, Morales says, these constituencies would be crucial to lessening “the grip of corporate rule.”7 In the same way, ending U.S. policing and imprisonment packages in Central American countries must be part of a broader tactical vision, not only because of the great number of people within the United States who were born there or who have family ties. 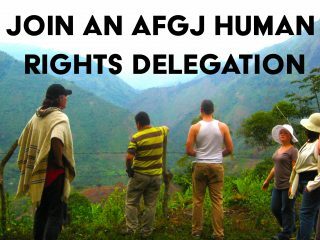 If freed, aspects of Central American life that would have tremendous transformative energy include the brave human rights movements, the long tradition of communal land holding, indigenous farming practices, the place of humans and nature in the simultaneously new/ancient Mayan Cosmovision, and even emerging social reform policies when these are not thwarted by the United States. If the hold of the drug war is pried loose, and with it that of the prison apparatus, the potential for hemispheric change is enormous.